This year General Motors recalled millions of vehicles due to a faulty ignition switch. According to GM’s website, the ignition switch can move out of place when it’s in the “run” position. This can result in a partial loss of electrical power and engine shutdown. If you have other keys on your keychain (including the key fob), thus adding extra weight, or if you hit a pothole, bump or other rough surface that jars the vehicle, the risk is increased. When the ignition switch is not in the “run” position, the airbags may not be deployed if the car is involved in an accident, which increases the risk of injury or death. The affected vehicles include: All 2003-2007 Saturn ION, 2005-2010 Chevrolet Cobalt, 2006-2011 Chevrolet HHR, 2007-2010 Pontiac G5, 2006-2010 Pontiac Solstice, and 2007-2010 Saturn Sky. GM has been in the spotlight lately because of allegations that they failed to recall millions of vehicles when they were aware of the ignition defect. This defect resulted in serious injuries and death. According to various reports, the Detroit-based automaker knew about the defect as early as 2001, but didn’t issue the GM ignition recall until February 2014. A month later, GM expanded the recall to include older vehicles that may have been repaired using the faulty ignition switch. Federal investigations determined GM knew about the faulty switches and the company was fined $35 million. According to federal laws, all automakers are required to report safety defects within five days of discovering them. Needless to say, GM has been hit with a lawsuit by more than 600 people who have been injured or have had family members killed in accidents that involved these defective switches. The lawsuits have been consolidated and were filed earlier this year in Manhattan federal court by hundreds of plaintiffs, including dozens on behalf of people who have died. It’s important to note that GM has set up a program to help compensate victims of crashes that were directly linked to the faulty ignition switches. The company has put aside $400 million to cover claims, but the amount could further increase because the fund has not been capped. Disbursements from the compensation fund for eligible claims are expected to be finalized by the middle of 2015. General Motors has agreed to pay a minimum of $1 million to families who have lost a loved one due to the defective switch. The federal lawsuit, presided by U.S. District Judge Jesse M. Furman, covers claims that would not be eligible for the company’s compensation program, such as accidents involving cars that were not part of the initial recall and accidents in which the vehicle’s airbags were deployed. If you or a loved one suffered serious injuries or had a family member die in an accident involving one of the GM ignition recalled vehicles, you may be entitled to compensation. 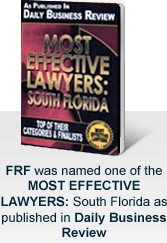 You need to seek the assistance of an experienced attorney who can file a case on your behalf. These cases are very complicated and are constantly changing as details of the cases are being updated on a daily basis. The lawyers at Friedman, Rodman & Frank are keeping up with every new detail that emerges so they can bring you the best legal representation possible. Remember, the law limits the amount of time you have to bring a wrongful death claim of any other claim against another party, so now is the time to act. To learn more about the GM recall or to find out if you qualify for compensation, contact our GM ignition recall attorneys online or call toll free at 877-448-8585 or at 305-448-8585.